Pure glowing gold to add that extra sparkle to life! Nothing can touch the mesmerizing beauty of clear golden yellow flowers as they will draw your eye from anywhere. 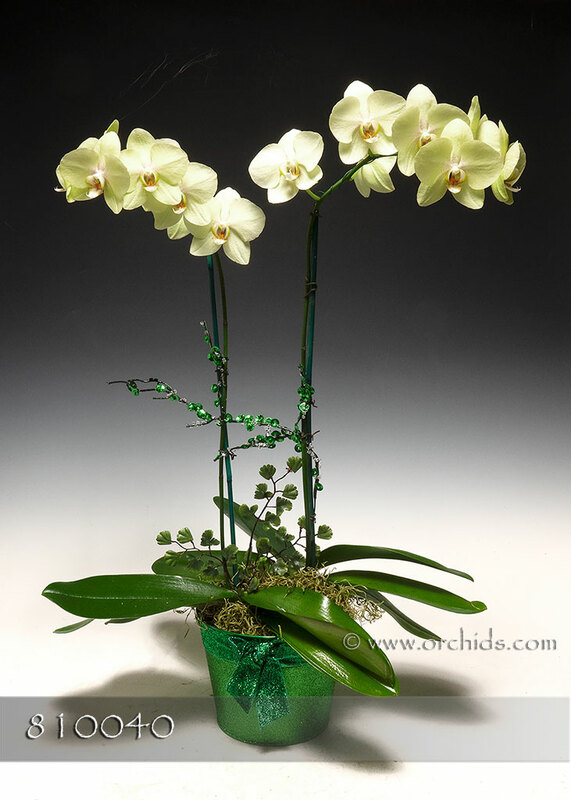 Our design staff will select the perfect Phalaenopsis from this hybrid, tuck it into our complementary metal cache pot adorned with faux berries, add the perfect accent of a silk yellow flowering vine and finish the presentation with jade Spanish moss.